By reappointing prison ombudsman Howard Sapers to just a one-year-term, the prime minister has once again struck a blow to accountability. Howard Sapers – Professional in his approach and knowledgeable in the extreme, prison ombudsman Howard Sapers has always based his critiques and recommendations on sound criminology research, writes Breese Davies. In days of yore, kings and queens festooned the castle gates with the severed heads of miscreants who had been executed as a lesson to others who would dare question their authority. Metaphorically speaking, Prime Minister Stephen Harper has put his own, contemporary stamp on the medieval practice by only reappointing prison ombudsman Howard Sapers to a one-year term. By cutting short what ought to have been a long career, Harper has sent a resounding message to anyone interested in Sapers’ job: Clear-eyed, courageous prison reformers need not apply. The losers in this political power play are the 14,000 men and women in federal penitentiaries and the public that depended upon Sapers to be a window into a notoriously opaque institution. The prison system is proudly secretive. The walls that keep prisoners in serve equally well to keep the public out. And a correctional history studded with riots, abuses of authority, suicides, preventable deaths and inadequate medical care — particularly for the mentally ill — reveals the horrors that take place behind the walls of Canadian prisons. The press has been largely helpless to penetrate the cloak of secrecy. And while prisoner advocates, particularly the Canadian Association of Elizabeth Fry Societies, have been more successful at gaining entry to prisons, their access is at the whim of prison authorities. Beyond the Office of the Correctional Investigator, then, precious little assures the accountability of Correctional Services Canada. Professional in his approach and knowledgeable in the extreme, Sapers based his critiques and recommendations on sound criminology research. His reports to Parliament delved into problems ranging from the plight of mentally ill inmates, to unacceptably high suicide rates and the deplorable experience of black inmates in federal prisons. He drew attention to the prevalence of use of force interventions by correctional officers and the devastating effects of segregation. His recommendations arising from the death of 19-year-old inmate Ashley Smith were a correctional milestone. In short, Sapers did precisely what an ombudsman is supposed to do. He identified glaring problems in the system that would otherwise remain hidden behind a cloak of secrecy. Unfortunately, the Achilles heel of government watchdogs is that they exist at the pleasure of those they were appointed to criticize. Nothing can insulate them from the whims of bruised egos and political agendas. And who, after all, is more hostile to criticism than Prime Minister Harper? The longer he governs, the more Harper perceives dissenting voices as a slight rather than an opportunity to learn and improve. Accordingly, the Correctional Investigator’s philosophy of accountability put him on a collision course with Harper’s misguided, misinformed, “tough-on-crime” policies designed to win votes. Where Sapers humanized, Harper demonized. Like the Red Queen in Alice’s Wonderland, Harper’s preferred punishment for those who impede his ideological march is simple: Off with their heads. Sapers was merely the latest to confront this reality. A couple of years back, Parliamentary auditor Kevin Page found himself out of a job after he exposed embarrassing information about government spending. So, too, did the government’s chief statistician, Munir Sheikh, who resigned rather than be complicit in the destruction of census information. In dark corners, oppression can fester and human rights easily evaporate. The Canadian prison system needs more independent oversight, not less. We need a system where the courts monitor and limit the use of segregation; where detainee grievances are independently investigated and effectively resolved; where health services and mental health services are properly funded and staffed; where rehabilitation is a real priority; and where oversight is welcomed. By figuratively posting Sapers’ head at the village gate, the Harper government threatens to condemn the prison system to a hollowed out semblance of independent oversight. But maybe, just maybe, Sapers will deliver one parting blow to the Harper government. His “one-year extension” could be an unexpected gift. It is his opportunity to ask harder questions, to compel CSC to answer for their inaction on hundreds of recommendations made over the years, to subpoena CSC records and employees to account for their practices, to make robust recommendations and, most importantly, to set the bar higher in terms of ongoing accountability. He has nothing to lose and an enduring legacy to gain. His head will be on the stake at the end of the year regardless. Let’s hope he goes down fighting for the sort transparency and accountability the system desperately needs. 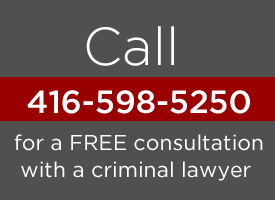 Breese Davies is a Toronto-based criminal defence lawyer and a vice president of the Criminal Lawyers Association.